My husband loves warm and sweet homemade brunches like muffins or pancakes during the weekend. 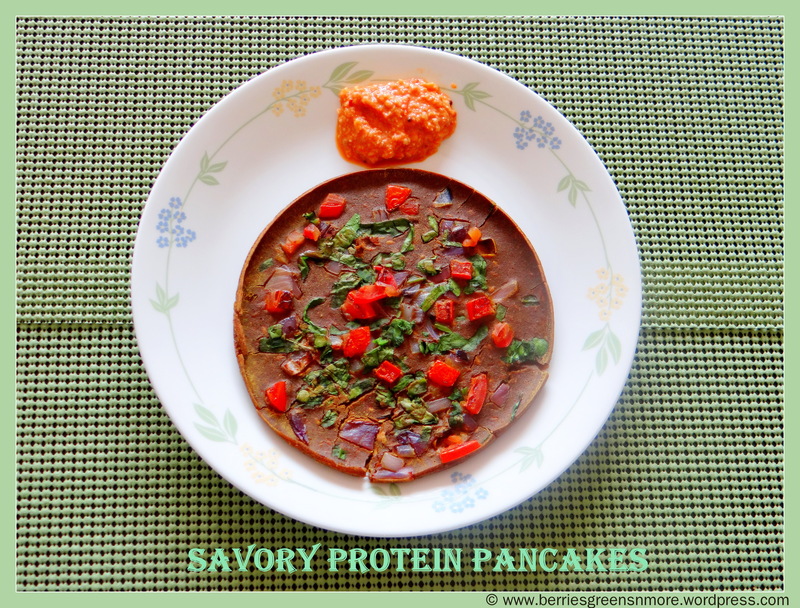 Last Sunday, for a change, I decided to make a savory protein vegan pancake. Yes, pancake and vegan, it can be done!! By the way, we are not vegans; it was just that I was out of eggs and dairy that day and we wanted to have savory pancakes, without having to go out to buy ingredients; so I came up with this recipe. These pancakes are super quick and easy to put together. They can make delicious and nourishing breakfast, brunch or even dinner. All you have to do is pour the pancake batter on the pan and top it up with some veggies and cook till done on both sides. Serve them hot with your favorite condiment/ chutney. And, guess what, they are super healthy too!!! Soy Milk to make the batter. 1. 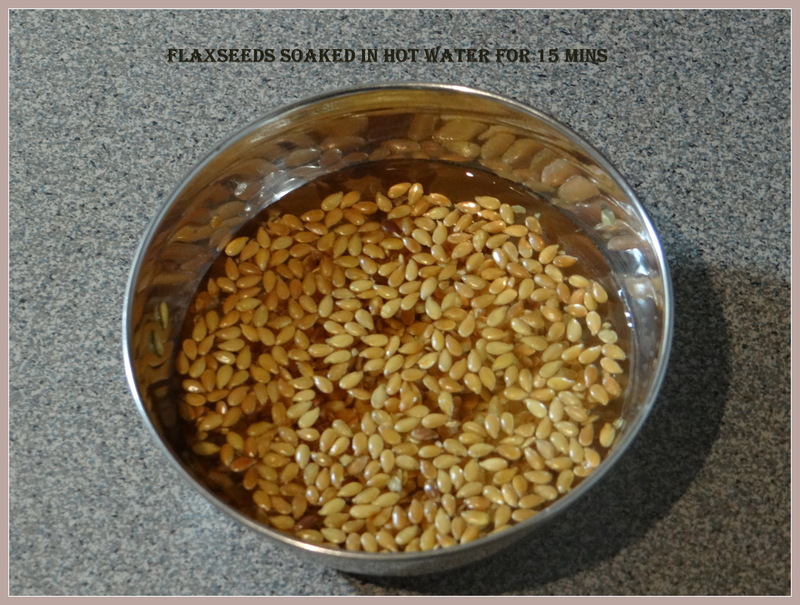 Soak the flaxseeds in 2 tablespoon hot water for 15 minutes. 2. 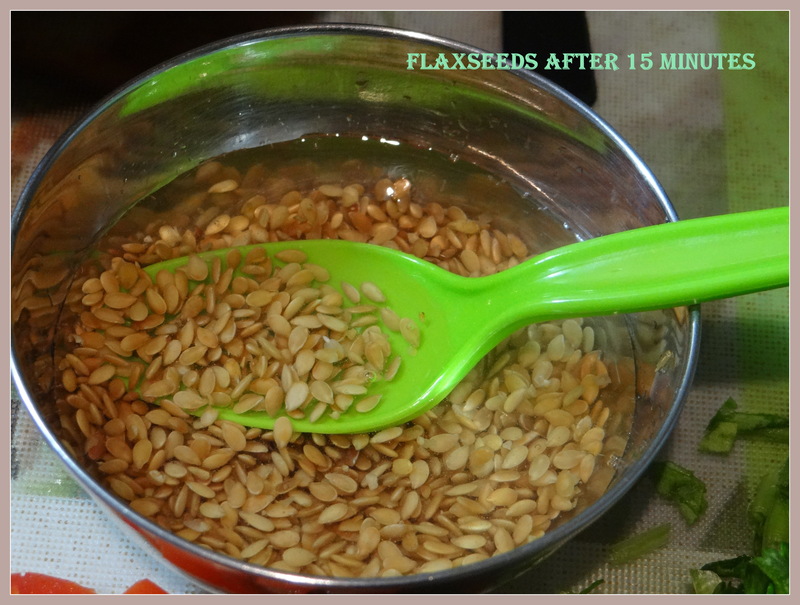 After 15 minutes the flaxseeds will be like egg white / gooey consistency. 3. Spray a nonstick fry pan with the Non- Stick cooking spray. 4. 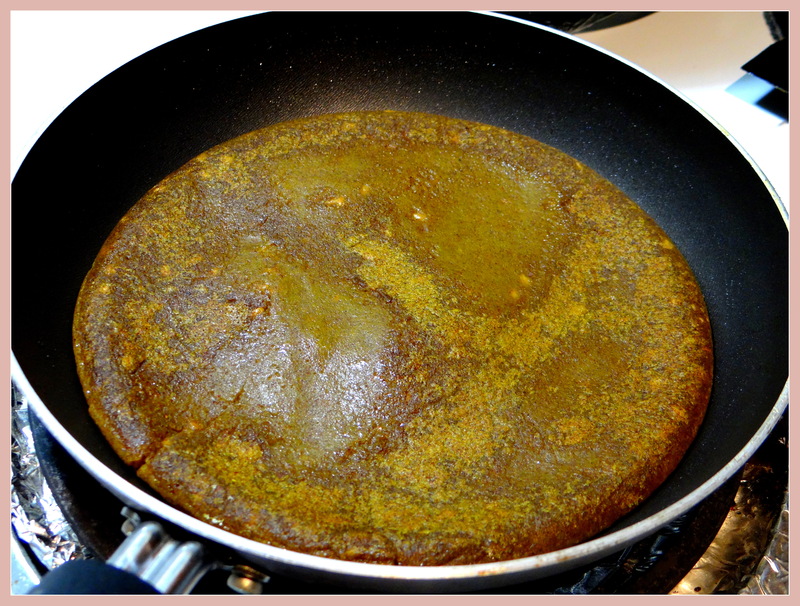 In a bowl mix the Finger Millet flour, Chickpea flour, Nutrilite All Plant protein powder, soaked flaxseeds along with the water, garam masala powder, turmeric, green chillies, salt along with soy milk to make a pancake consistency batter. Do a salt and spice taste test. 5. 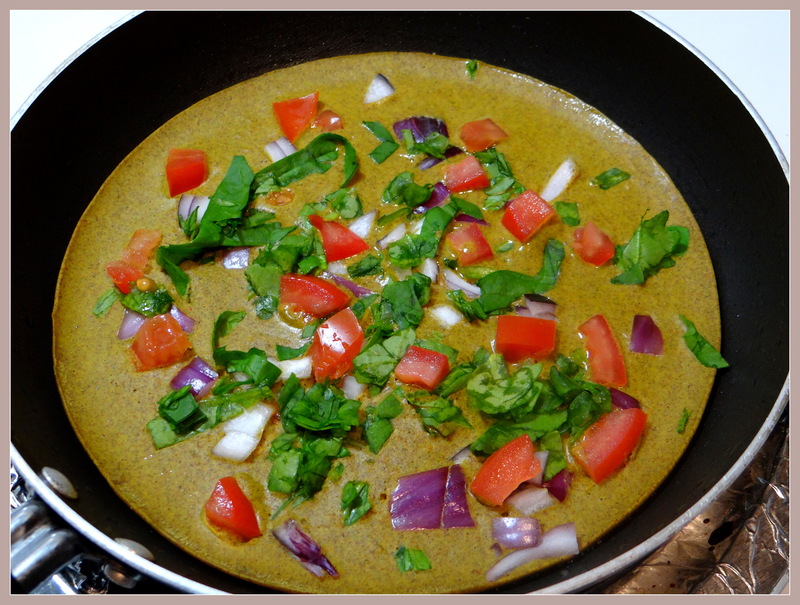 Pour the batter on a nonstick fry pan,top it up with some vegetables and cook till done on both sides. 6. Sprinkle some Nutritional Yeast if needed. Serve with your favorite condiment/ chutney. 1. Any other plant protein powder (flavorless) of your choice can be added too. 2. Low fat milk can be substituted in place of soy milk if not vegan. 3. 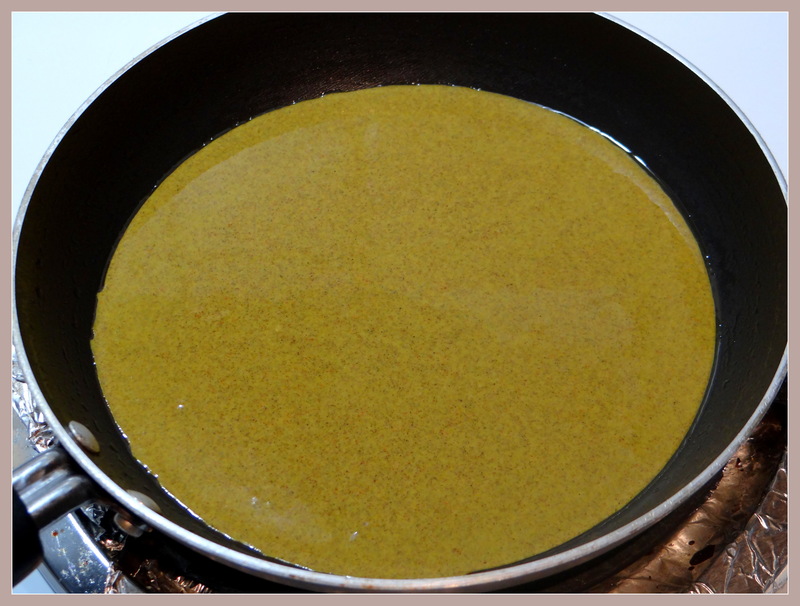 Nutritional yeast is a substitute for the regular cheese. 4. One 12.5 g serving of NUTRILITE All-Plant Protein Powder provides 10 grams of heart healthy protein. It’s 100% vegetarian, dairy free and thus is vegan friendly. It has low fat ( The highlight of this product is its’ flavorless and can be a healthy addition to any type of sweet or savory culinary preparation: omelets, crèches, home baked bagels, corn breads, muffins, stews, soup, healthy juices, shakes and smoothies. If you would like to give this amazing product a try click on the photo below.